Meeting will start as soon as prejudging is over. Estimated start time for the meeting is 1:00pm. 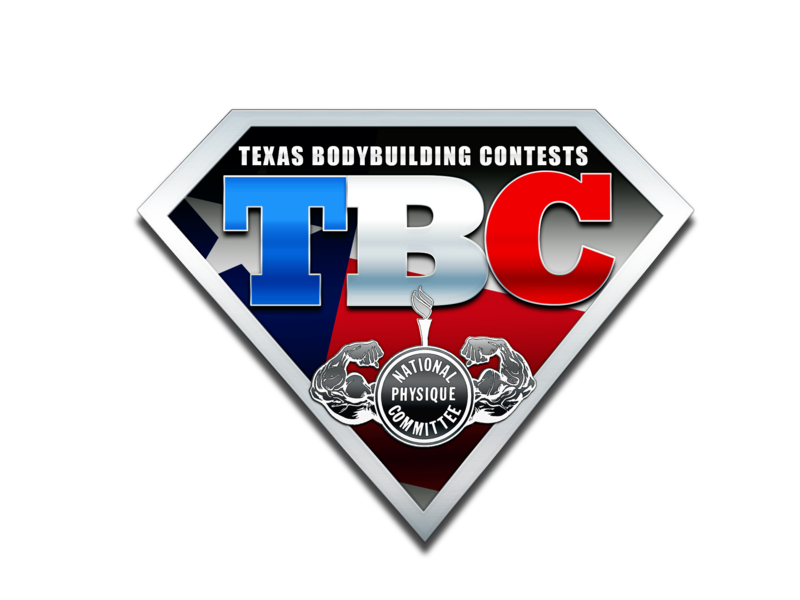 FREE TBC Gym Bag & T-shirts to the first 500 attendees! Athletes, trainers, sponsors & fans can attend. THIS MEETING IS FREE. If you do not want to attend prejudging, you will be able to wait in the lobby. 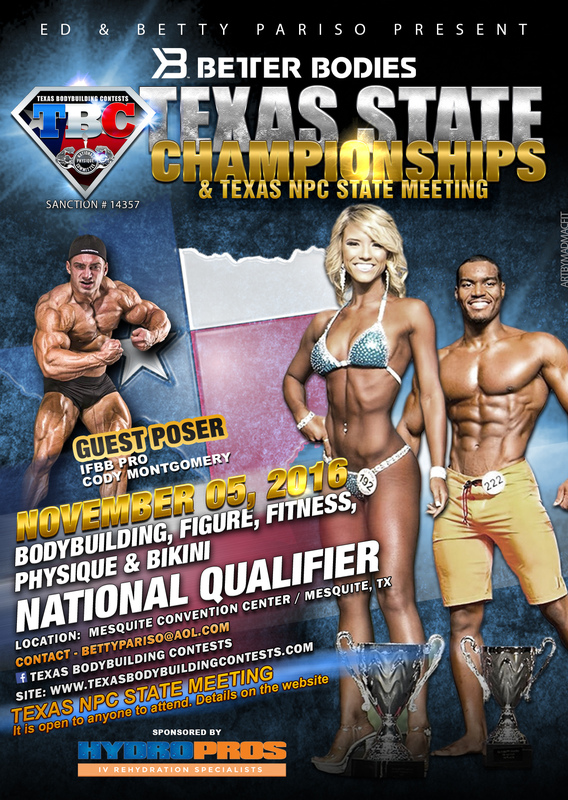 Once prejudging wraps up, we will open the doors for the NPC State Meeting. Meeting time is subject to change depending on how long prejudging lasts. Please check our Facebook page for any updates. Purchase VIP & Reserved tickets in advance under the TICKET PURCHASE tab below. However, photographing each competitor is NOT ALLOWED. We have found that if someone is photographing each competitor, they are most likely using the photos for their personal gain. The photo/video rights to this event have been purchased and are exclusive to these individuals. The audience will be monitored by the event staff. Tripods, monosticks, and large camera bags are NOT ALLOWED in any seating area. Online entry registration is now closed. You can still register at the competitor check-in meeting on Friday November 4th 2016. Please download your competitor information packet below for all of the details. 2. Online Entry is $100 per division. Must pay by credit card. – ONLINE ENTRY DEADLINE is Tuesday November 1st 2016 at 5pm. * We do accept entries at the COMPETITOR Meeting. ONLINE ENTRY DEADLINE: November 1st 2016 at 5:00pm. You can still register at the competitor meeting. BOOK EARLY- You are not required to use this companies below, however they are the only companies allowed backstage. -We will be collecting your music “CD” at the Competitor Check-in. -Please bring a back-up “CD” with you backstage during the Show… just in case. -Music must be recorded on a clean ‘CD” and end or fade within the appropriate allotted time. TICKET PURCHASE: Click on ‘Ticket Purchase’ tab right here on the show page. Online ticket sales have now closed. You can still purchase VIP, Reserved & General seating tickets at the door the day of the event. Credit cards & Cash accepted.